July 10, 2013 by MIG & Co. Savvy businesses are shifting their emphasis off of themselves and onto their customers and prospects. Customers and prospects, empowered by the Web and social tools, have more control over the brand than ever; delivering hyper personalized campaign interactions to them is today's challenge. 1) Big data moves from the aggregate to the individual and starts to become actionable for smaller companies. With recent advances in marketing automation platforms, the time is now to link up your data between Web, CRM, relational tables, email, and beyond. Tie data to individuals and connect it to a digital marketing automation platform that enables you to act on the data. 2) Companies increasingly invest in unified marketing platforms centered on customer behaviors and automation. Leading companies are moving away from a list-based marketing approach to a constantly evolving "persistent database" married to behaviors across multiple channels, providing an all-encompassing view of customers and prospects. Depend less on mass messaging and start speaking to people as individuals. 3) Content marketing becomes even more critical as buyers demand more personalized, uniquely relevant content. Use dynamic content or behavioral-driven programs to deliver content that aligns with the recipient's preferences, industry, or buying cycle stage. 4) Customers expect a mobile-friendly experience. There are now nearly 120 million smart phones in the United States alone, and email is the top activity on both smart phones and tablets — with shopping close behind. Deliver a seamless process as customers and prospects connect with your brand from multiple devices. 5) The social conversation impacts every channel, from search to Web to email and beyond. Rather than just another channel to publish promotional content, social is becoming about the unique interaction and engagement that can take place there. Connect conversations, people, and important ideas across all your digital assets to create momentum. 6) Marketing departments transform to better deliver individualized conversations with buyers. The democratization of one-to-one behavioral marketing is arriving as we hit the point of technology and data becoming increasingly affordable and available. Forward-looking companies are investing more in marketer training to close the gap between marketers' skills and the processes and technologies they're now being expected to employ, understanding that this increased education will pay long-term dividends. CoreMotives is a marketing automation solution that operates completely within Microsoft Dynamics CRM. MIG & Co. is a professional consulting firm that specializes in the implementation of business management software solutions, including Microsoft Dynamics GP, SL, and CRM. We automate business processes to ensure that our customers work efficiently. MIG is a New York City based Microsoft Dynamics Gold Certified Partner, primarily serving New York, New Jersey, and Connecticut. Stop Re-pulling Your Marketing Lists and Automate Them! 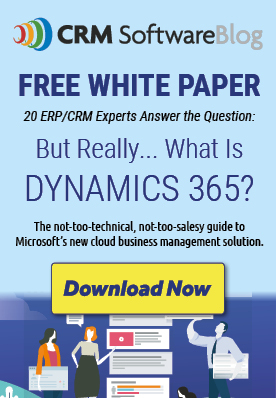 See How Easy it is to Create Reports with CRM Software!